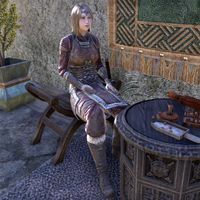 Zylle Maurard is a Breton fighter who can be found in the Canton of St. Delyn the Wise in Vivec City. She cannot be talked to. This page was last modified on 15 February 2018, at 13:12.